A motorcycle was set on fire at Abbey Fields in Kenilworth. 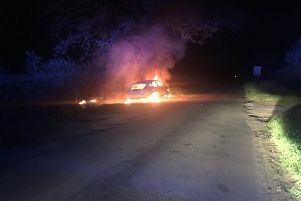 Firefighters were called to Abbey Fields in Kenilworth in the early hours of Sunday where they found a motorcycle on fire. The fire was quickly extinguished using a hose reel. Warwickshire Police were requested to attend the incident, due to the fire being 'of doubtful origin'.